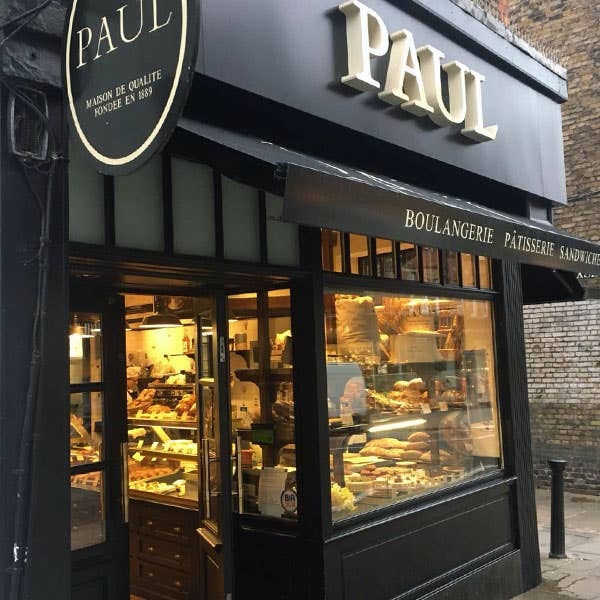 Our Bakery is close to Hampstead station (at 200ft, the deepest tube station in London) and is very popular with locals buying viennoiseries, sandwiches, cakes and freshly baked hand made bread, or picking up food for a picnic on Hampstead Heath. Many 18th Century buildings are preserved here in Hampstead High Street, but the pretty village of Hampstead is much older. It was probably a Saxon farmer who cleared part of the forest for his homestead who gave Hampstead its name. It is first mentioned in a charter of King Edgar in the 10th Century. At the end of the 17th Century, much of the remaining forest was cleared for timber to rebuild London after the Great Fire. The Heath comprises approximately 800 acres including Parliament Hill and was infested with wolves as recently as the 13th Century. It was used for rifle practice during the Napoleonic Wars, but PAUL’s present-day invasion is of a much gentler nature! The High Street and nearby streets are lined with delightful shops, and the Heath is as popular as ever with its model boating pond, bathing ponds and acres of lovely walks. Kenwood House, managed by English Heritage, is a popular destination. Remodeled by Robert Adam and with a famous library he designed, it also has a renowned collection of paintings by Vermeer, Rembrandt, Gainsborough, Reynolds, Turner, van Dyck and others. Closest station Hampstead (Northern Line). 6 seats are available. No disabled access available. Free wi-fi.